California voters in November will decide whether or not to approve a controversial $8.9 billion bond measure for water-related projects like groundwater storage, water treatment and restoring protected habitats. This scheme was devised as an initiative that is being funded, in part, by individuals and entities that are going to be receiving a share of the bond money. The pay-to-play aspect in itself should give voters ample reason to reject Prop. 3. The Sierra Club agrees. If approved, taxpayers will end up footing the bill for water projects the private sector would normally undertake on its own or through enforcement of existing law. While the group says many of the projects to be funded are "worthwhile," others are "generous giveaways to private entities." "Exactly what projects ... are included in the bond was negotiated in private," the environmental group says in its Proposition 3 FAQ. Nor will the measure, says the Sierra Club, be required to undergo the annual legislative budgeting cycle to ensure that the money is going where voters intended. Ron Stork, senior policy analyst at Friends of the River, which also opposes the measure, acknowledged on KQED's Forum program Monday that some projects like ensuring safe drinking water for disadvantaged communities are worthy of funding. But he called "general taxpayer subsidies for wealthy farmers and agribusiness in the San Joaquin valley," a "poison pill." Both Stork and the Sierra Club singled out $750 million earmarked for the Friant Water Authority to fix the Friant-Kern Canal, which was damaged due to overpumping of groundwater. "The traditional method of paying for canals that deliver water to agricultural interests is through a beneficiary pays model, where those who profit from the water pay for the costs of building and maintaining the infrastructure," the Sierra Club says. "This bond instead provides taxpayer money for these canals that large corporate agricultural interests will profit from." 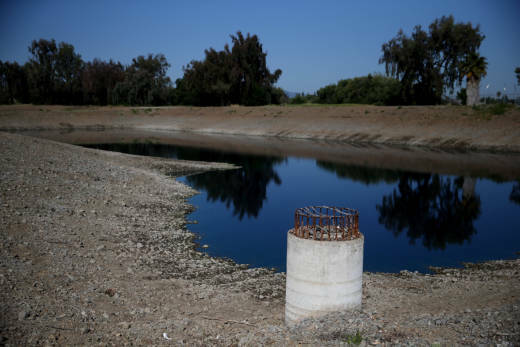 Environmental proponents of Proposition 3, however, insist that California's crumbling water infrastructure demands urgent action. "It provides more than $3 billion for state agencies and local conservancies to acquire and restore watersheds and wetlands, from the Sierras to the coast, throughout the Central Valley," David Lewis, executive director of Save the Bay, said on Forum. "And protecting the watersheds is one of the great ways to improve the security and safety of our water supply." He argued that bonds are sometimes passed to help local agencies cover costs. "We have often supported the use of state funds to build wastewater recycling plants, to undertake water conservation, for example," said Lewis. "Leaving infrastructure to decay because a local agency can't afford to fix it, that's not a sustainable practice." Along with Save the Bay, the measure is supported by the National Wildlife Federation and Audubon California, while opponents of the bill also include the League of Women Voters.